It’s not often that a new product comes out in the self-protection and martial arts industry that is genuinely innovative. While most products I’ve seen have been marketed as ‘innovative’ and as essential for training to be taken to some next level or other as imagined (conveniently) by the designer, almost without fail they have been near-pointless gimmicks that detract from training more than they add. I’ve always been of the opinion that, in general, simplicity is the key to good training. Good pads, a training knife and a stick will pretty much set you up for most of your training to my mind. That said, every now and again somebody has an idea that genuinely is a good and innovative one. These are generally simple both in concept and execution. The Smak Sak is a good example of this. 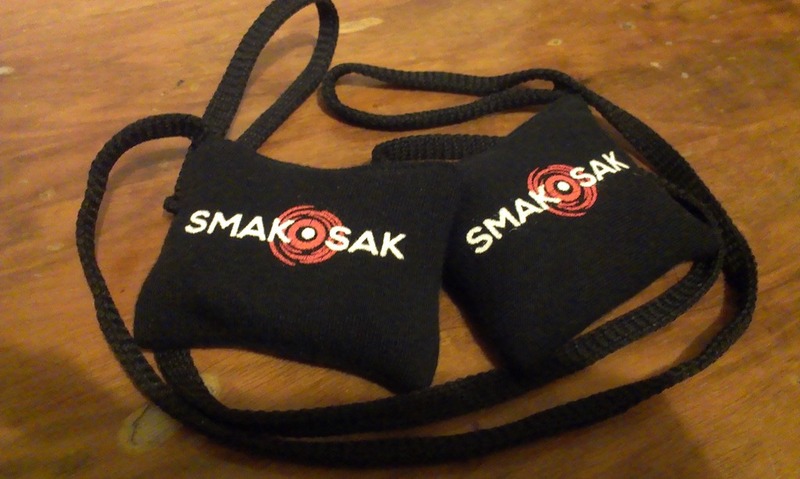 ‘The Smak Sak’, uploaded to YouTube by knightsun84010 on 01.05.2013. Following my email discourse with Fraser Anderson of Krav Maga Scotland, he sent out two for me to test and review. The day after they arrived in the post, I took them along to a local martial arts class I teach at to test them out. The results were good! As I said, a good idea for a training tool is generally simple and these fit that parameter (it’s essentially a nice bean-bag on a cord with a wrist loop), but with a pleasing build quality that makes them truly worth considering for your training. They also look nice, which is a bonus! What I found when using them was that they allowed beginners to throw faster, more direct punches by making it safe to do so. In addition, they were enjoyable and engaging to use for something that can at times be fairly repetitive. All in all, it was a most welcome change that everyone present at the class enjoyed! It helped some to ensure their ‘strike’ was biomechanically sound, with the shoulder, elbow and wrist aligned. As with all training tools, it isn’t absolutely perfect and you shouldn’t become dependent on it for your training but it is definitely an inexpensive and enjoyable way to mix things up a little, and the novelty of doing the same thing in a different way went down very well with beginners and children when we tried it out. I enjoyed using them myself with my brother, and the instructor of the class enjoyed using them too. 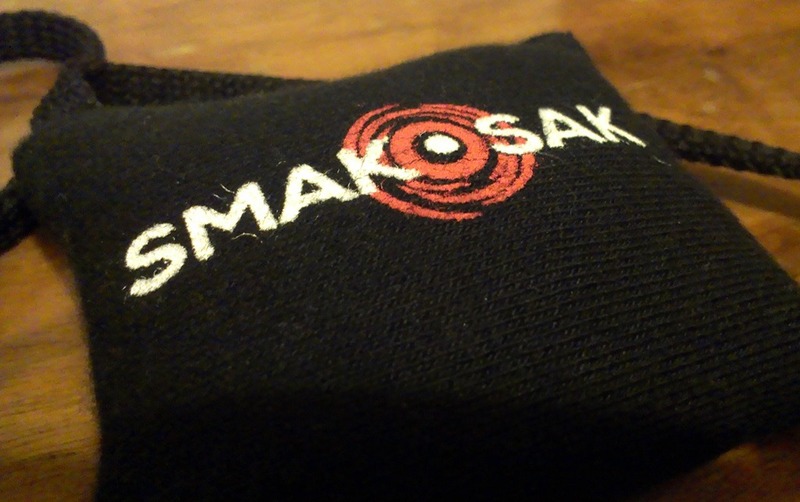 All the information can be found at http://www.smaksak.co.uk/ and you can email Fraser at enquiries@smaksak.co.uk.